Should You Visit Hong Kong or Singapore? What City's Better to Visit: Singapore or Hong Kong? There's only one answer to the question should I visit Hong Kong or Singapore. It's Hong Kong. Here's why. For sights: This is where Hong Kong really blows Singapore away. 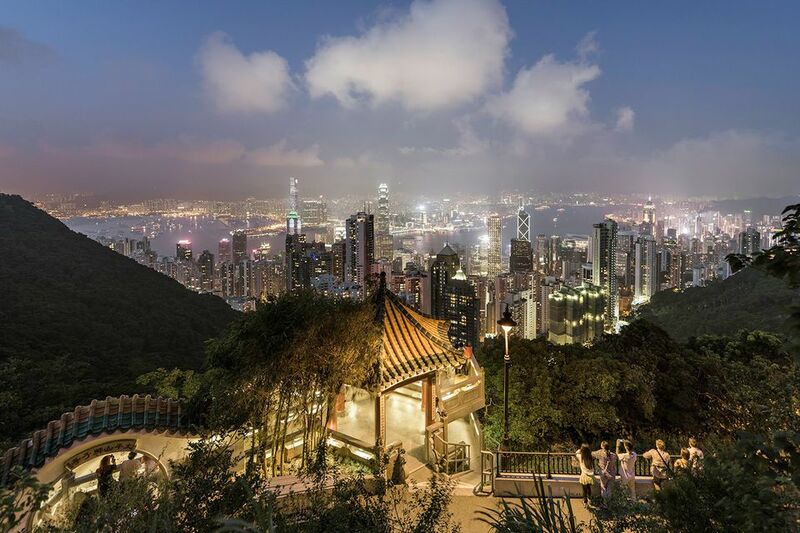 From temples to skyscrapers, through colonial buildings and world-class museums, Hong Kong is packed with sights. The mix of the traditional with the modern in Hong Kong makes for a powerful combination, and the city has a far richer history to be explored. Singapore’s sights can feel a little like Disneyland. The markets, temples and fishing villages of Hong Kong are very much alive. Conversely, Singapore has done more about preserving its colonial heritage in recent years. There is an excellent selection of British era sights. For restaurants: Both cities are superb for food, and you’ll find an outrageous selection of cuisine in either location. Hong Kong excels at Cantonese food. It is simply better here than anywhere else in the world. Hong Kongers consider eating out a right, and the sheer amount of restaurants is breathtaking. It’s estimated there are more eateries in Hong Kong per head than anywhere else in the world. In addition to an unrivaled choice of Chinese cuisine, from Hainan to Harbin, Hong Kong is also home to some of the best, award-winning restaurants in Asia. For transport: Hong Kong may have the world’s best public transport system. Cheap, clean and efficient - there really are few faults. Ferries, buses, trams, and the subway are all well interconnected and serve just about the whole territory. That said, Singapore is certainly no slouch in the transport department and is also very easy to get around. For kids: With Ocean Park and Hong Kong Disneyland both in the city, Singapore really can’t rival Hong Kong here. Singapore does have better green open spaces, but for kid-friendly activities, Hong Kong is head and shoulders above Singapore. For shopping: Few cities in the world can rival Hong Kong when it comes to shopping, certainly not Singapore. For the average shopper Singapore has plenty to offer, but for those who want to get serious, Hong Kong is a punters paradise. From the traditional markets to the multiplex malls and swanky boutiques your plastic will take quite a beating in Hong Kong. The bargain center of Shenzhen, just across the border, is an added bonus. Friendly: Now this is going to be controversial, but Singaporeans are more polite and friendly. Although they won’t ever be voted the world’s friendliest nation, the difference between Singapore and Hong Kong is noticeable. Hong Kongers can be a little businesslike. Singaporeans also speak better English - see below. English: That’s right, despite Hong Kong being British-owned up until 1997, the level of spoken English in the city has dropped considerably. Singaporeans are much better, with English widely spoken. Of course, you’re generally not going to have major difficulties in Hong Kong with English either. Environment: Singapore is very much the town garden compared to Hong Kong’s urban jungle. Parks are everywhere in Singapore and the city feels less cramped. Visitors to Singapore also don’t have to wallow in the semi-permanent smog that cloaks Hong Kong. That said, Hong Kong outdoes Singapore for hiking and walking outside the city. Singapore is an excellent city in its own right but just can’t stand up to Hong Kong. Hong Kong is simply bigger and brighter, and, for most people, better.